We honor Rose for her CFL involvement, media coverage and recognitions. 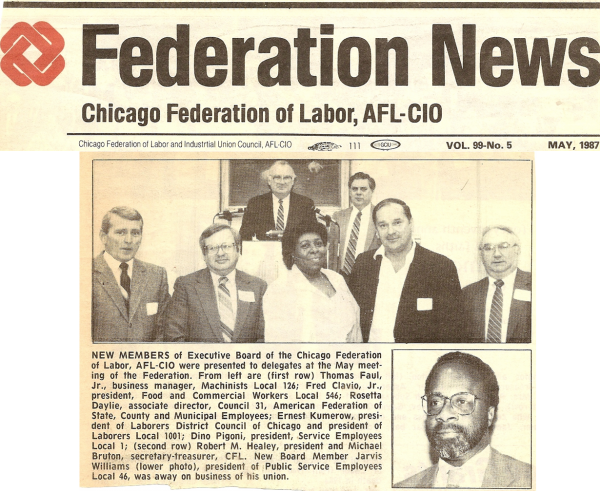 May 4th, 1987 Rose Daylie was elected Vice President for the Chicago Federation of Labor (CFL), by their Executive Board! Rose was the first African American Women elected to the Executive Board!!! 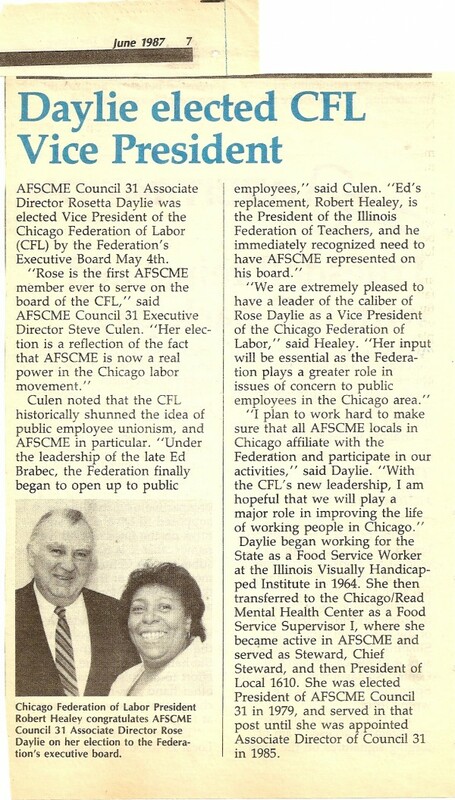 Rose Daylie elected President of CFL. 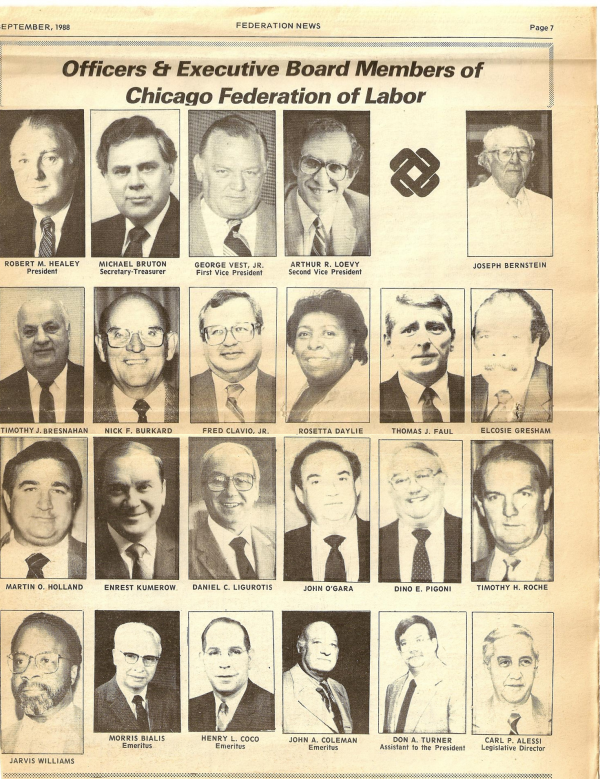 She was the first AFSCME member to serve on the board, and the first African American Women on the Executive Board. 1988 Federation News Article with photo of Officers & Executive Board Members of Chicago Federation of Labor (CFL). 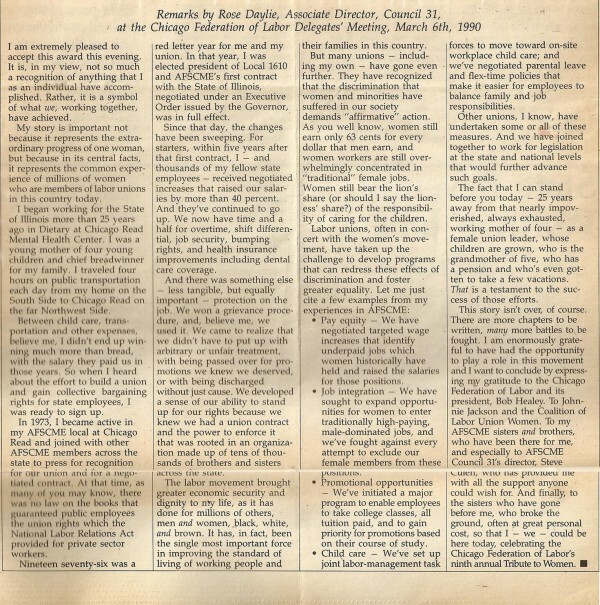 Rose Daylie about center in the photo. 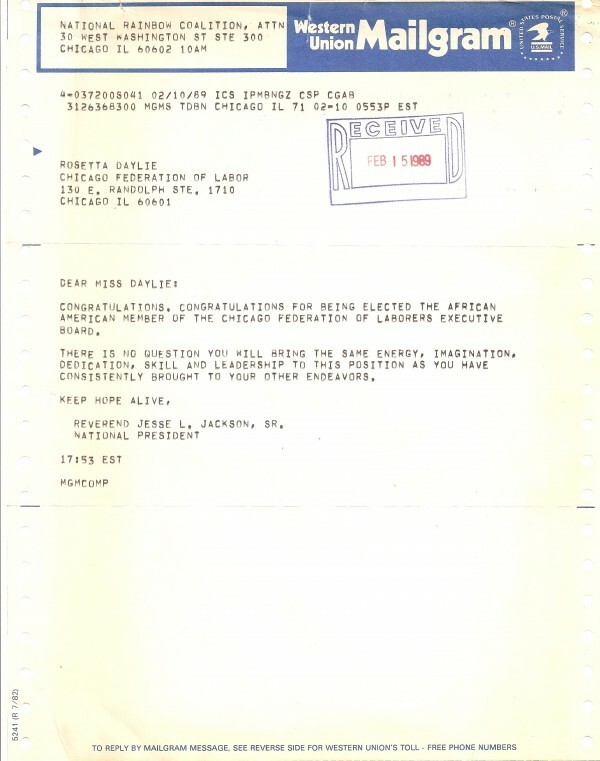 Reverand Jesse Jackson Sr. Congratulates Rose via Western Union Mailgram. Thank you Reverend Jessie! 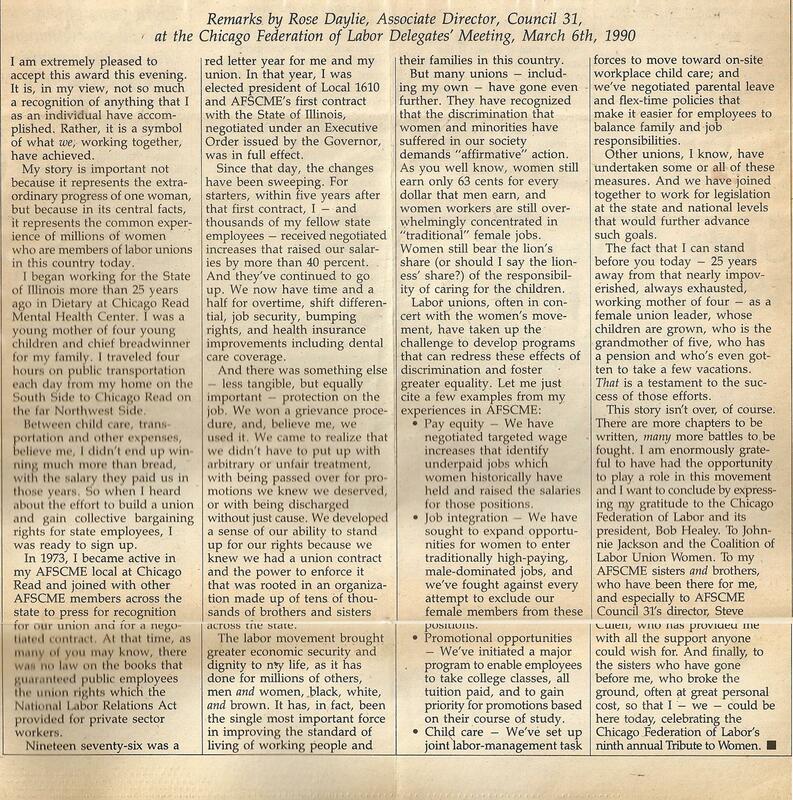 1990 Article about Rose’s speech, remarks and award acceptance! The Passion to Live Your Dreams! Life is but a moment in time that's whisked away, often much to soon. To look back over the years and see you've made heroic changes and big differences in your area's of endeavor, makes life all the more precious and meaningful! May you each be inspired by my stories and encouraged to lead a life that makes a difference for you, your family and society as a whole.